UPDATE: The full trailer has been released, and four-player co-op announced. Head here for more details. ORIGINAL: Prepare to carve baddies up with dual swords and even sometimes shoot them, because Shadow Warrior 2 has been confirmed. 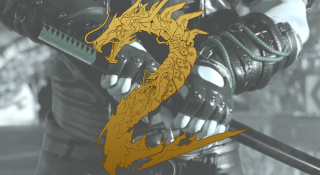 Publisher Devolver Digital confirmed the news today via Twitter, linking to an official Shadow Warrior 2 website containing absolutely zero information beyond the above teaser trailer. Given that E3 is next week, we'll likely hear more about the game then. But what do you need to know? It'll be a violent, fast-paced FPS with swords and silly jokes. Shadow Warrior released in 2013 as a reboot of the classic '90s 3D Realms shooter. If you're keen to give it a go, it's currently 90 per cent off over at GOG.